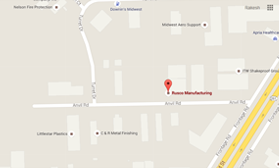 Our Capabilities – Rusco Manufacturing, Inc. Capabilities: Our ability to perform actions for customers. It’s the machines we have in our facility, the people on our team and how well they do their job. It’s the sum of expertise and capacity. Our wide variety of capabilities is well-known in the manufacturing industry. 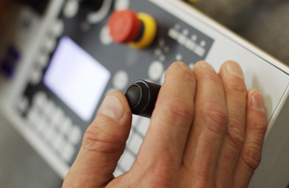 It’s based not only on our equipment, but on our highly developed technology linked to our machines and the exceptionally skilled operators we employ. We have many options with our CNC turning, depending on part size. We have many lathes with 4′ and 12′ bar feeders, gantry loaded lathes that can handle parts from 1lb to 400lbs and manual loaded lathes. We can turn from .250″ to 28″ diameters and up to 60″ lenghts. We have plans to grow into vertical turningup to 60″ diameters in the very near future. Please see download our equipment list for a full description of our machining capabilities. You can also view the equipment page by clicking here.